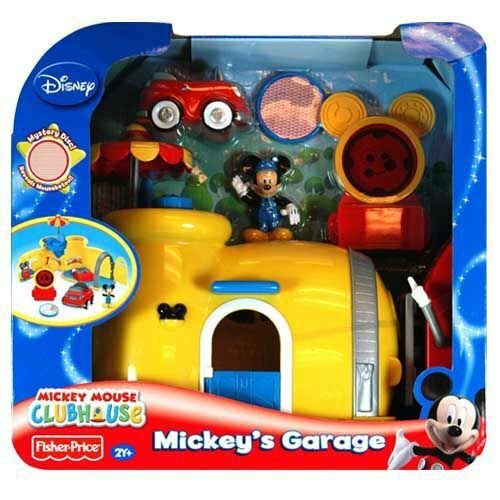 There's so much to do at Mickey's Garage! Insert the mystery disc into the toodles area to red reveal images. Pull the car lifts lever to raise the cars up and lift up the garage door to allow the cars to drive through.